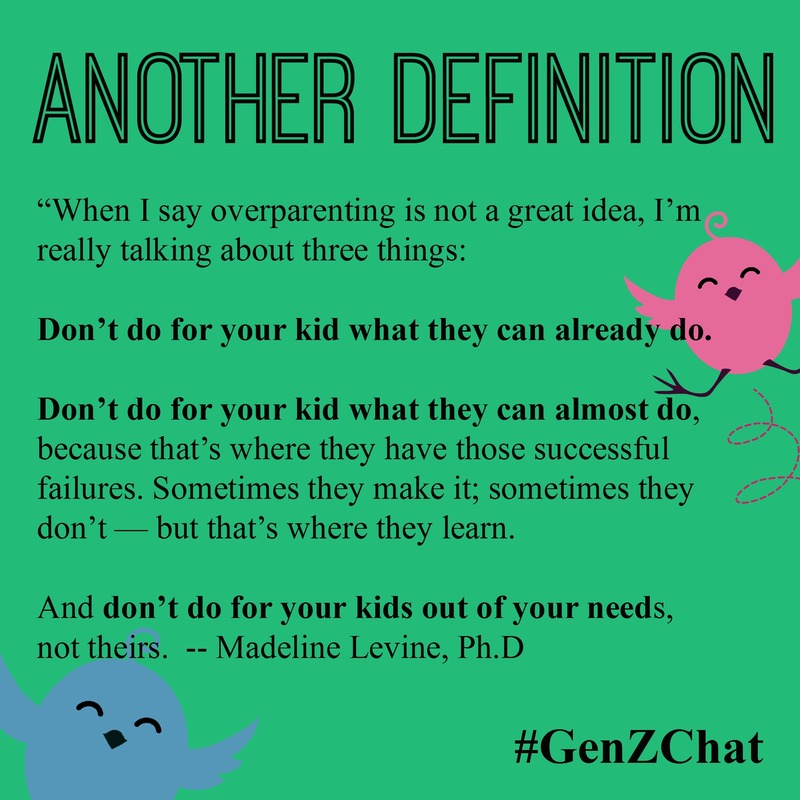 Here are some highlights from the first #GenZChat. I’ve never launched a chat before, so this was a brand new experience for me. I’m adding to the PR arsenal. I’ve always worried if I attempted a chat nobody would show up. And, practically nobody showed up, so I can be over that now. Ha! Anyway, I had a great time chatting with the few who did participate. Among the participants was Nancy of the blog Getting Gen Z. If you missed the chat, here are some graphics I put together to enhance the conversation. 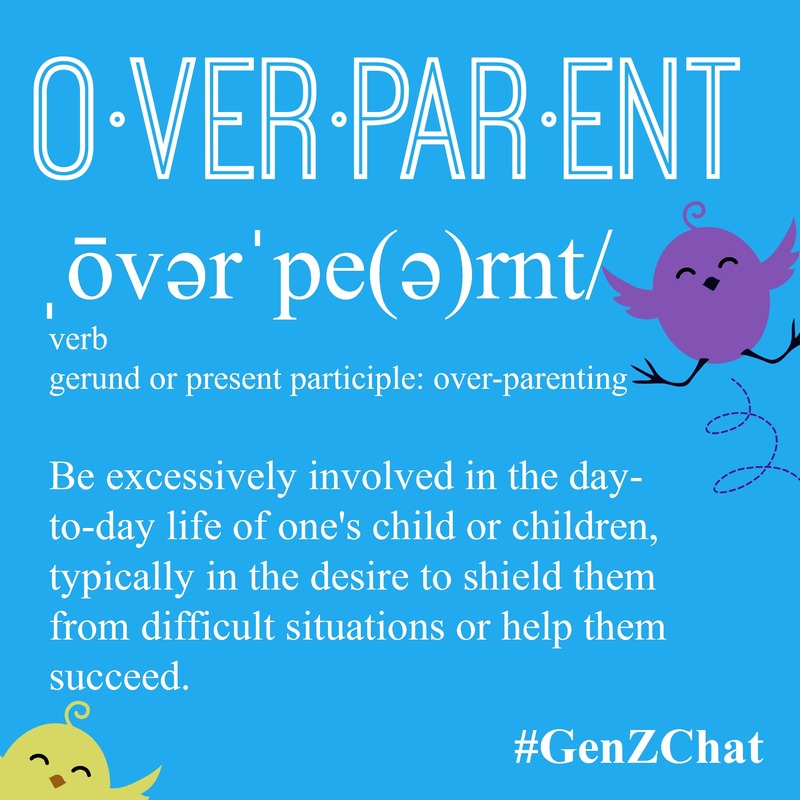 The theme of the first #GenZChat was the Impact of Overparenting Generation Z. I think I need all the help I can get. Its interesting too read what my generation are like as parents. 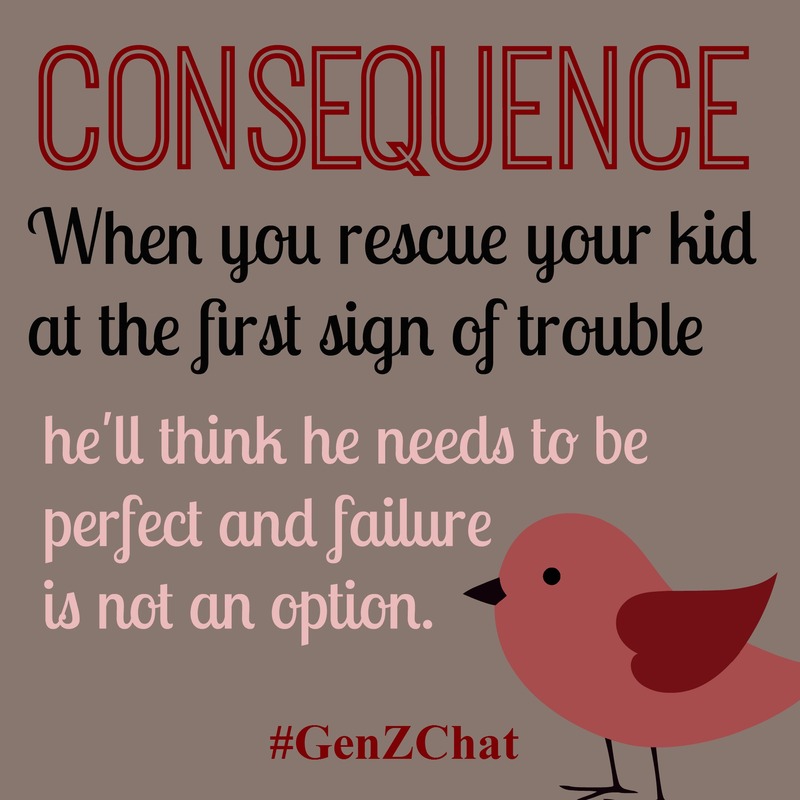 I do see over parenting as a problem; kids need to make mistakes, get hurt, fail, etc. 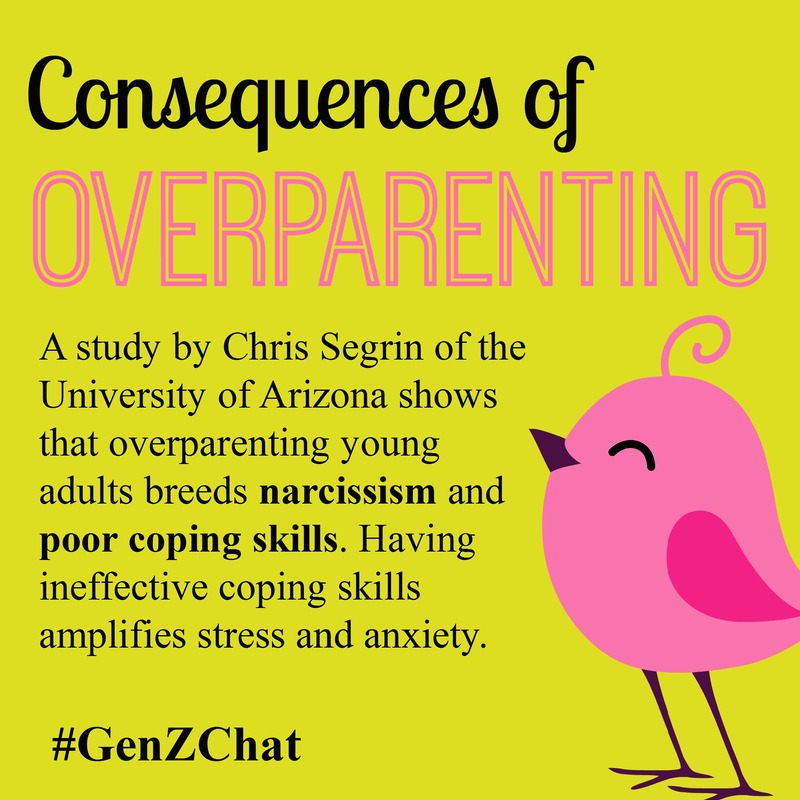 Its part of the growth process…..
My biggest fear is overparenting! Love the infographics. Thanks for linking up! Thanks for providing the linky. I worry about overparenting a lot! It can be so hard to let go! However, it is definitely one of the best things we can do for our kids. We shouldn’t be the ones holding them back from reaching their potential- they will have plenty of other obstacles in life. I love Mari’s point too. Ugh; overparenting is such a problem! I see it in myself and try to pull back as much as I can which can be difficult. In my neighborhood, I see it pushed out into the streets, where parents have posted their own “yield” signs to caution drivers that their kids are playing in the street so the drivers should slow down and be more careful. While I agree it’s important to watch out for kids in the street, how about keep junior out of the street? This is the suburbs, we all have fenced yards. I learned this lesson growing up in an inner city neighborhood where we didn’t have that luxury. Drives me nuts! Raising your kids with the idea that everyone else will adjust their own behavior to allow for their safety is a dangerous game. I love that last line, Mari. 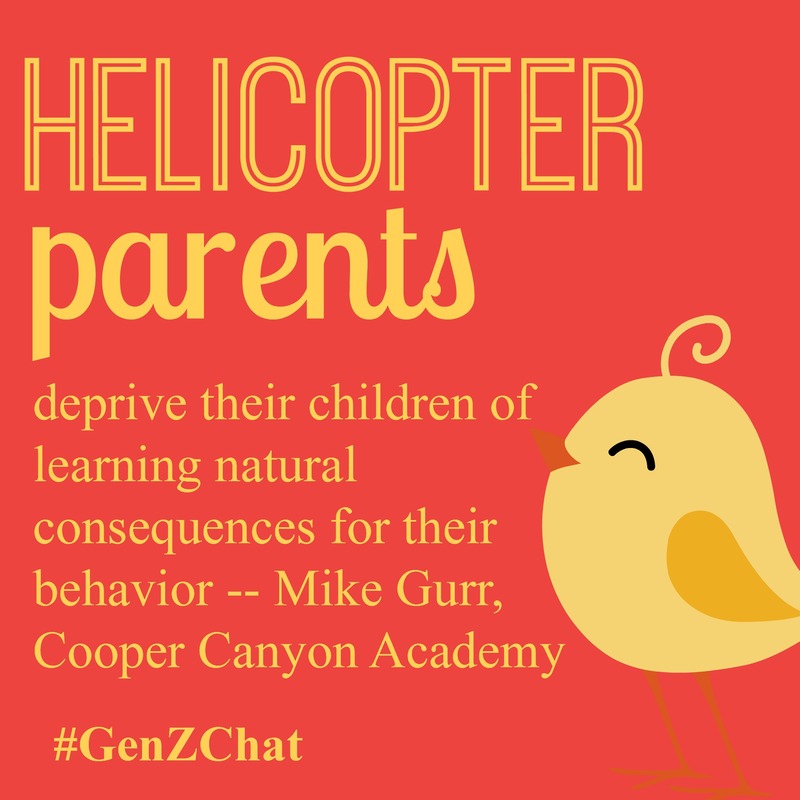 I think a lot of parents do expect people to adjust their behavior for their kids. Ugh. 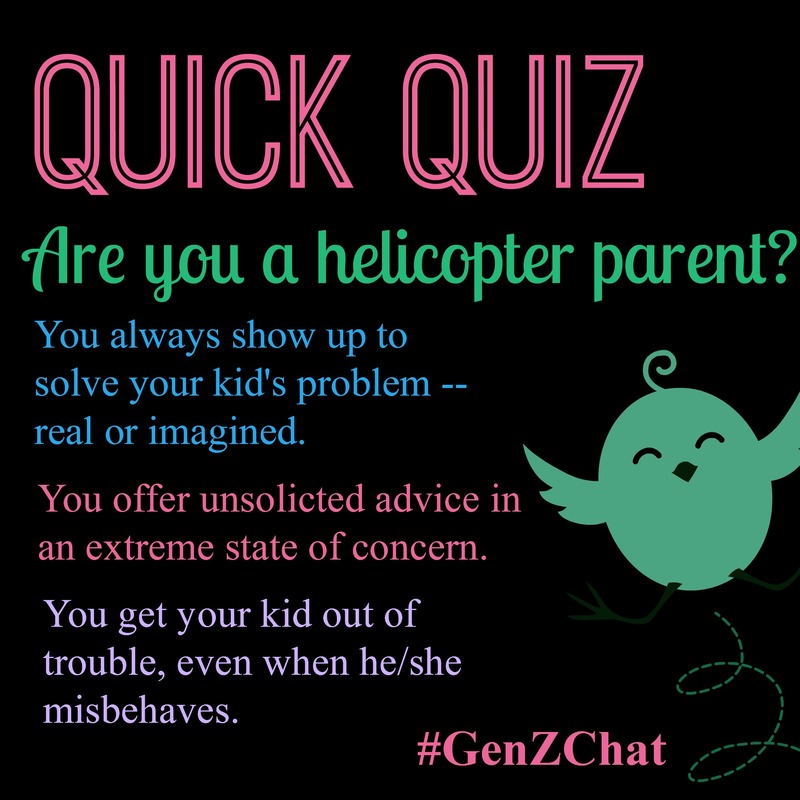 I am very guilty of being a helicopter parent. I see how it makes kids afraid to fail, which can be a problem. I’ve created my own recovery program. haha! thanks for leaving me a comment! !